Not much information on Ford’s so-called baby Bronco off-roader has surfaced, but Hau Thai-Tang, the automaker’s executive vice president of product development and purchasing, dropped some new details in a recent interview with The Detroit Bureau. The baby Bronco will be based on the 2020 Ford Escape‘s scalable, FWD-based platform, Thai-Tang said, although it will appear much different than the rather nondescript Escape. The crossover doesn’t have an official name yet, either, so for now, we’ll just stick with ‘baby Bronco’. 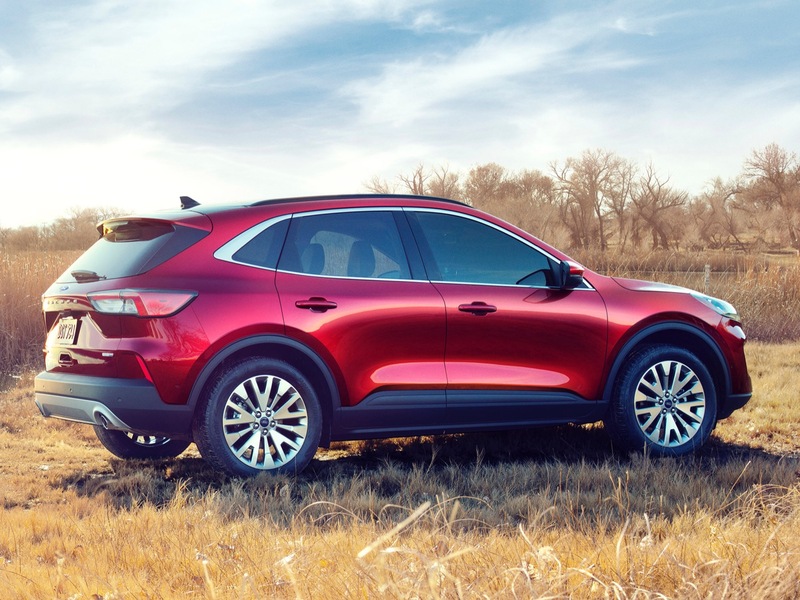 Thai-Tang also revealed the small off-roader will go on sale about six months after the Escape, which is expected to arrive at dealers this fall. A debut in early 2020, at either the 2019 Chicago or New York auto shows, seems quite likely, then. The 2020 Ford Escape’s nondescript styling, described as “urban” by Ford, leaves space for the similarly sized baby Bronco in the automaker’s lineup. While the Escape may appeal to those living in cities or suburban areas, the off-roader will be aimed at the consumer who wants a vehicle with a tougher, more rugged appearance and more capability. In addition to a boxier shape and more upright stance, the baby Bronco will also have more ground clearance and a wider track. Leaked photos of the vehicle, which you can view at this link, show a boxy, four-door crossover with a wide stance, circular LED headlamps, red front tow hooks, knobby off-road tires, a contrasting white roof, black roof pillars, and a roof rack. While it’s not clear what will be under the hood of the vehicle, it will likely feature one of Ford’s turbocharged four-cylinder EcoBoost engines. 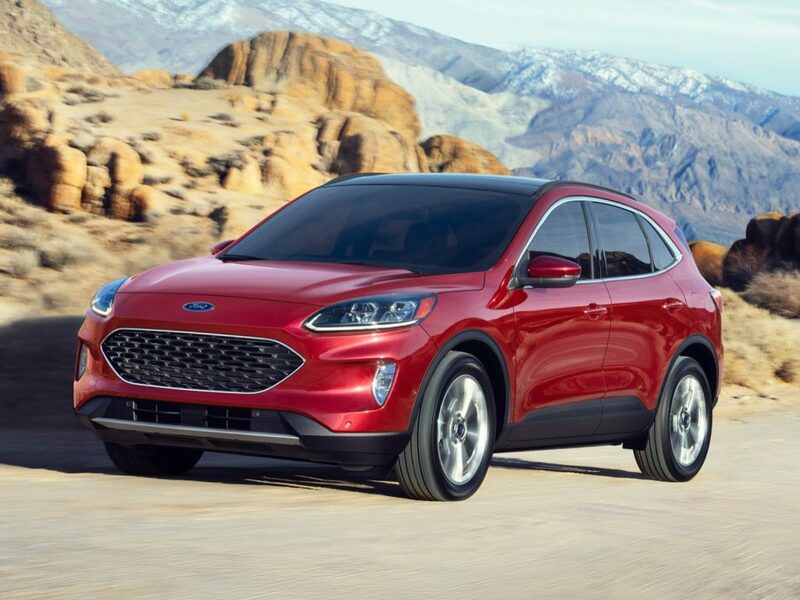 Because it will be positioned as a more premium offering than the Escape, we wouldn’t be surprised if it received the crossover’s optional 250 horsepower 2.0-liter turbo in base form. Ford still hasn’t dropped any official details, though. Subscribe to Ford Authority for more Ford Escape news, baby Bronco news and around-the-clock Ford news coverage. This reminds me of the time they brought out the Ford Probe. They thought it would go over so well, with sleek and modern (nondescript in my opinion) styling, and the Mustang (which it was originally intended to replace! ), would just fade away. The Escape follows this dull and unimaginative styling, so I hope the baby bronco will prove to be the Mustang in this case, provide bold and aggressive styling, and become so popular that it takes production away from the bland Escape. With a more upright silhouette, it should also provide better cargo room with the seats folded down. I am still scratching my head about the Escape losing cargo, when the others in its class are constantly gaining! Escape> also a b….y good looking vehicle too.